What a week it's been for KV Mechelen. Just a week ago, despite great effort and sold-out AFAS Stadion, they were relegated from the top flight. But then the following Monday crews began arriving at the main stand. They've spent the past 5 days on removing everything that can be dismantled, including floodlight masts, seats, press and catering equipment. 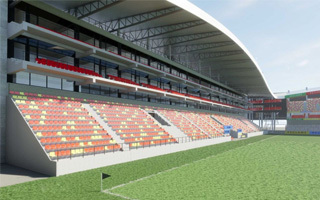 The main stand will soon be demolished in order to make way for an ambitious 5-floor structure, matching the height of two new sections built in 2015 and 2016. 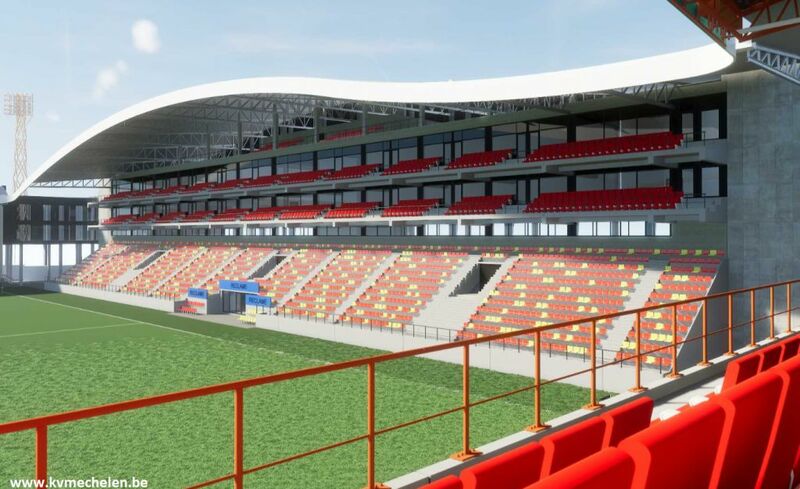 Contrary to two previous phases, however, this addition will not significantly improve capacity of the stadium. 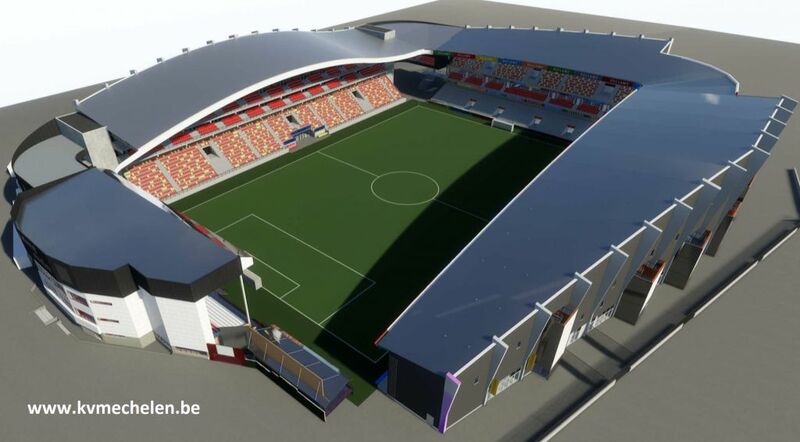 The new main stand will offer just 2,000 regular seats. More importantly though, i will also have 2 sets of blaconies with over 800 premium seats. Combined with increased floor space and modern facilities, it should multiply the commercial potential of hospitality areas at AFAS Stadion.